Get healthy teeth and achieve a perfect smile with the help of the best cosmetic dentist in Mission Viejo! We at Aria Dental will take care of your dental problems. Aria Dental is headed by Dr. Maryam Horiyat, a 13-year cosmetic dentist with extensive skills, training, and continuing education. 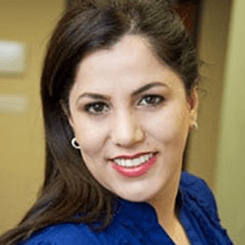 Her practice and certifications in Cosmetic Dentistry, Invisalign, Orthodontics, Sedation Dentistry, and Laser Dentistry have helped her to successfully transform numerous patients’ smiles since 2006. 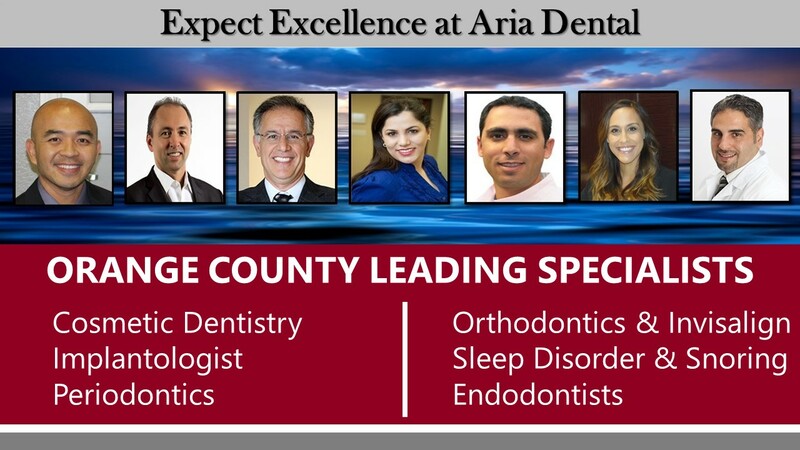 When you book with Aria Dental, you can expect..THE BEST! The Highest Quality of Materials and Equipment from Highly Reputable American or Zwitzerland Companies. Unlike general dental care, cosmetic dentistry is both an art and science. We make sure that not only your dental problems are fixed. We go the extra mile and give you that ultra-precious smile! With Aria Dental’s cosmetic dentistry, you don’t need to worry again about missing, chipped, or crooked teeth. By using the latest technology, we can give you a thousand things to smile about! Consultation – We will first examine your lifestyle, personality, health, and teeth. We will also take note of your desires, and gauge them against the results of what we can achieve. Examination – Dr. Horiyat will then figure out how she will get the desired result. Procedure -The cosmetic dentistry is carried out, and then you get the smile that will improve your appearance. 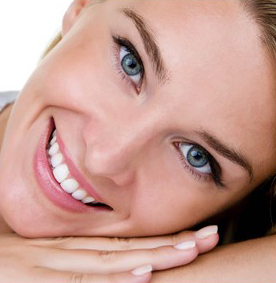 We have an array of procedures under cosmetic dentistry. 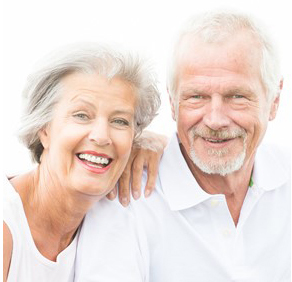 These procedures cover every age, giving you the flexibility of choice. You can handily choose the procedure which will best fit your needs! 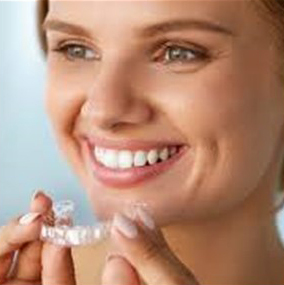 This procedure uses clear plastic aligners made from a computer-controlled sequence, straightening your teeth. These are the best option for teeth replacement. They are fixed in your jawbone and feel like natural teeth! With porcelain veneers, our highly trained cosmetic dentists could improve on your teeth a lot. You will have a smile like celebrities in no time! This procedure will correct out-of-place teeth and jaws. 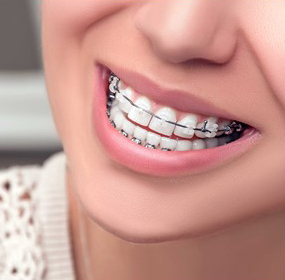 Through modern technology, you will get affordable orthodontic solutions for your teeth. 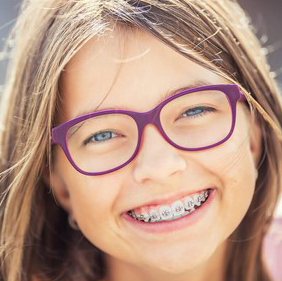 This is an innovative procedure for people aged 15 and above! You can straighten your smile quickly, with no need to change your bite. These items are just like veneers, but ultra-thin, they can improve on your smile effectively! This quick fix is cosmetic dentistry at its most affordable. 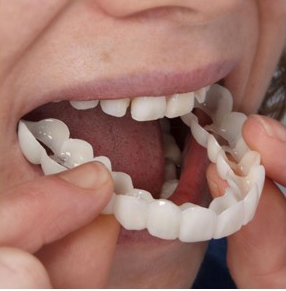 Our dental resin dentures will fit over your teeth immediately, getting rid of undesirable elements. 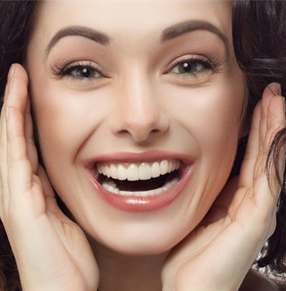 This refreshing treatment for natural teeth involves cosmetic procedures. We can replace your amalgam/silver restoration with a white, metal-free substitute. This is a full-mouth reconstruction procedure, wherein every tooth in your jaws is rebuilt or restored. By doing this, all your oral health issues can be resolved. At Aria Dental, you can expect professional and the highiest standard service from Dr. Maryam Horiyat and her team of dental specialists. You have an option to be under sedation for these procedures, guaranteeing a worry-free and comfortable time with us! Best of all, these procedures have the most competitive rates in town! To learn how we can give you a smile you always dreamed, please call us at 949)364-9600 or email us today for an appointment with an Orange County Top Cosmetic Dentist in Mission Viejo, Dr. Maryam Horiyat.